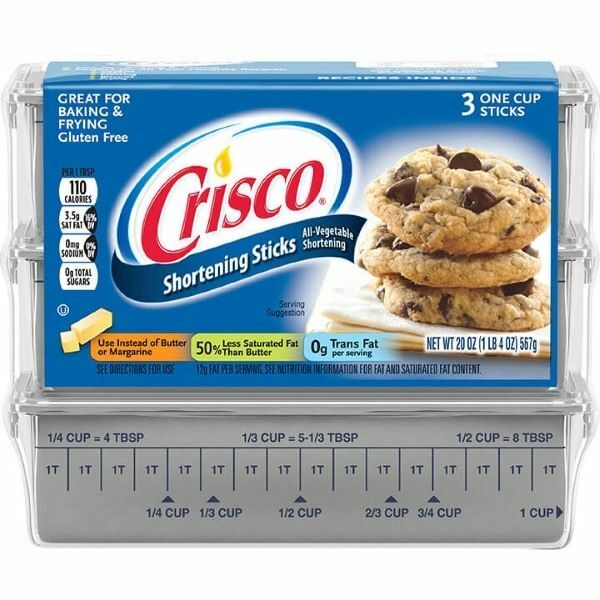 Crisco Vegetable Shortening - classic American shortening for baking and frying. A staple of US kitchens for over 100 years. Here it is packed into 3 convenient 1 cup sticks with a measure oo the pack to take the guess work out of measuring the amount you need. 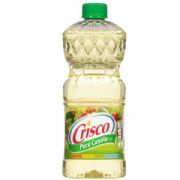 Use Crisco to replace butter or margarine in recipes. Great for baking giving a light texture. Also unlike butter or margerine, Crisco doesn't burn when heated making it a useful fat for frying, plus it doesn't need to be refrigerated.